A new holiday is celebrated every month. If you don't tip and give me an overall score with percentages in each station, you will not be considered a customer until you do those 2 things. 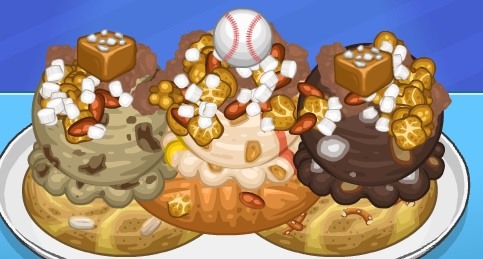 Baseball Season is my favourite holiday! Hey y'all, there's gonna be a delay in the orders because I'm on Cinco de Mayo rn... so I promise I'll get them to you ASAP. 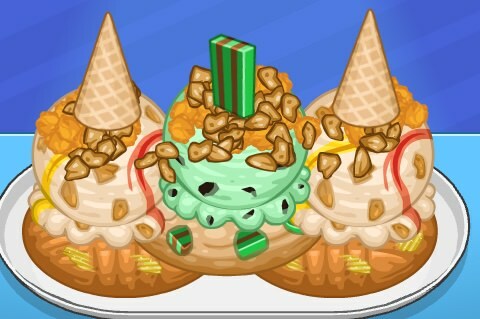 Brother E: I'll have a Sinckerdoodle cookie with Candy Jack and Curveball Crunch ice cream. 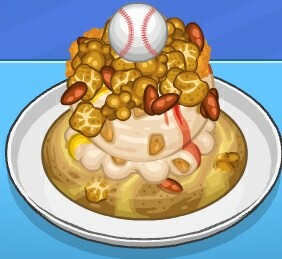 The toppings will be Peanut Butter Fluff with Candy Jack shaking and Candy Baseball. That will be all. No more Baseball Season orders! 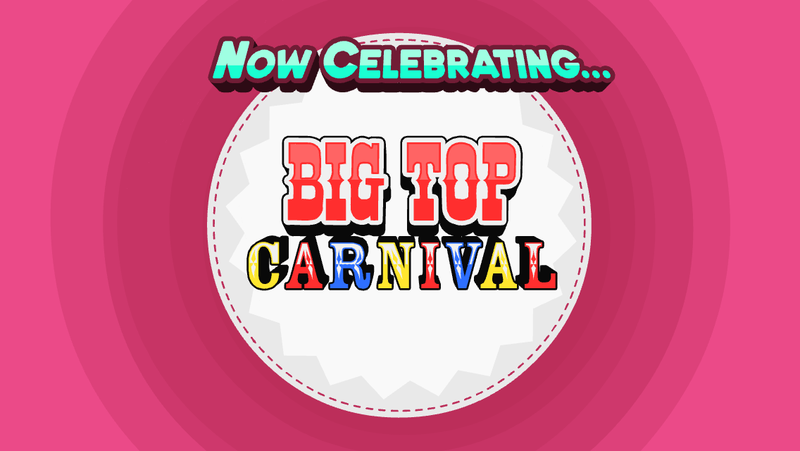 Now celebrating Big Top Carnival! 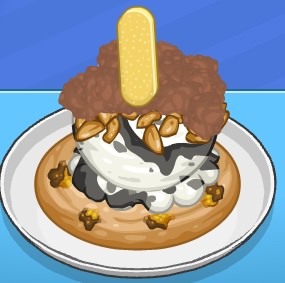 Also, Nutty Butter and Wildberry Moon have been added to the Specials... 2 more will come next week. 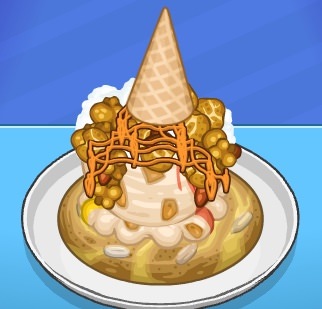 I'd like a gingerbread cookie with lollipop bits, caramel apple ice cream, some chocolate bacon and cotton candy syrup, a chocolate banana and one of those swirly tube things (I forget their name) on top.